Are there washroom facilities for us to use? There are several places where we can stop for washroom breaks and chances for ladies to freshen their makeup if desired. It’s always good to look your best when taking those pictures. These tours are private therefore we can stop as often as you wish within the scheduled tour duration. Can we go to a nice place for lobster and a cold beer? We have always recommended that our clients stay away from the Tourist traps. We have places that will cater to each individual taste: Lobster, Mussels, Calamari, Beer, etc. Besides our main destination, are there other attractions along the way? There are many places too often bypassed by the ordinary tourist. One such place is the French village with its unique view of the ocean. There is often more than one stop before we arrive at our main destination. How far from Halifax is the Swiss Air Crash Memorial? 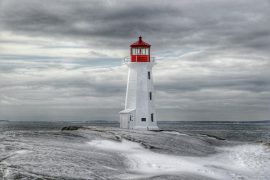 After Swissair Flight 111 tragically crashed off the coast of Nova Scotia near Peggy’s Cove on September 2, 1998, memorials were established at Whalesback, in the County of Halifax and Bayswater, in the County of Lunenburg. The Whalesback memorial, near Peggy’s Cove, is approximately 35 km from Halifax. How do we compare to conventional tour buses? Ours is best. You travel at your own pace, stop when you want to and we treat you with kindness and courtesy. We want you to be able to tell others about our great service. We will never herd our clients along like cattle. We always strive to make your tour truly simple, affordable and enjoyable. Just imagine your own private tour. Do you have tours to the Titanic Grave Site? 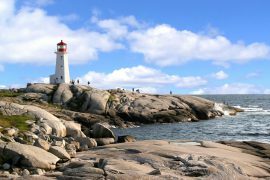 Our many tours cover all of the sights and attractions throughout Halifax and the surrounding area. Some of these include Citadel Hill, Public Gardens, the Halifax Explosion site and much, much more. 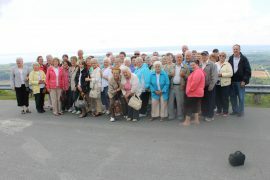 Ask us about any sights you wish see during your visit and we can recommend the best tour for you and your group. We can also customize any tours to include specific sights or attractions upon request. You will have the privilege of meeting your tour guide right in front of the gangway where your ship will be berthed with a sign bearing your name. This is a VIP reception accorded to you. Do you have wheelchair accessible vans? We are currently working on acquiring one. (They are quite expensive.) But we will be happy to assist your touring pleasure by providing you capable tour guides to help when required. Do you have a car seat for my child? Are there tours for Children and/or Teenagers? Yes there are a numerous tours available for kids of all ages. Some of these can include: horseback riding, museums, skiing and amusement parks. The tours vary depending on the time of year and the weather. Call us for more information.